Mayo GAA TV continues this weekend with four more live games from the Mayo GAA Connacht Gold SFC & Egan Jewellers IFC Championship. 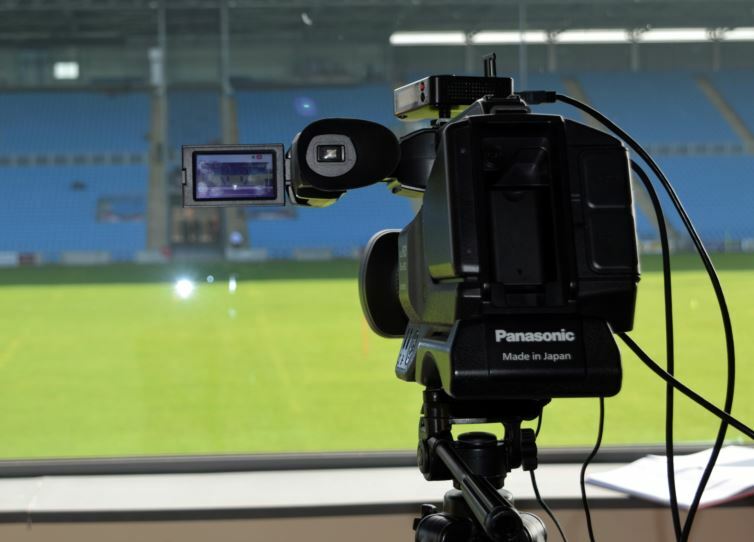 We will also have the first live interview with new Mayo manager James Horan.We will have John Maughan along with ex Mayo players Alan Dillon & Stephen Carolan on hand to give their expert view throughout the weekend. We will also have a club analyst from all 8 clubs involved over the weekend. We will also be hearing from some of winning Balla team along wit..
Mayo GAA are delighted that James Horan has been ratified as the new Mayo Senior team manager. We look forward to working with James, his management team and the players over the coming months as we get ready for the 2019 season.Statement from James Horan, Mayo GAA Senior Team Manager:I am delighted to be involved with Mayo and am really looking forward to getting on the field with the players. 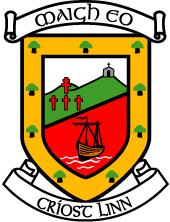 All clubs (Senior/Intermediate/Junior) within Mayo will be contacted immediately seeking suggestions o..
Everyone at Coiste Chontae Mhaigheo would like to extend their deepest sympathies to the family, friends & neighbours of the late Gina Carney wife of former Mayo player Martin Carney. Gina was physio to the Mayo Senior team from 1980 to the early 1990's. She was also physio to Castlebar Mitchels teams for many years. Gina is survived by her husband Martin, son Eoin, daughters Niamh, Orla and Eimear.Funeral Arrangements;Reposing at The Kilcoyne Funeral Home, Thomas Street, Castlebar on We..
Mayo GAA have been informed by Mike Solan that he is withdrawing his name for the role as Mayo Senior football team manager. We would like to thank Mike for putting his name forward for the role & look forward to seeing him involved with Mayo GAA in the future. The officers of Mayo GAA will now meet with James Horan to discuss his management team & plans for 2019.Statement from Mike Solan:"Today, I have informed the Mayo County Board that I am withdrawing my name from the nomination..
Mayo GAA TV continues this Sunday Sept 30th with two more live games from the Mayo GAA Breaffy House Resort Junior Championship & Homeland Retail Minor Championship. We have experts on hand to analyse both games such as ex Mayo player Alan Dillon along with current Mayo ladies player Niamh Kelly. 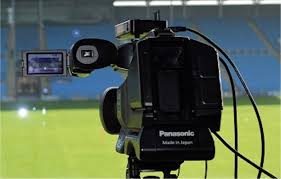 We will also have a club analyst from all 4clubs involved over the weekend.At 1pm we cover the Minor A Final between Parke/Keelogues/Crimlin and Westport.This will be followed at 3pm by the Mayo GAA..
Everyone at Coiste Chontae Mhaigheo would like to extend their deepest sympathies to the family, friends & neighbours of the late Proinsias Ó Maolmhuaidh from Claremorris GAA club. Over the past sixty years, or more, his contribution to the Claremorris Club has been second to none. He leaves a rich legacy of commitment to our club as a player, mentor, referee, selector, manager, administrator, Scór performer and mentor, Oifigeach na Gaeilge, fundraiser, colleague and friend.Fun..
Mayo GAA TV continues this weekend with 4 live games from the Mayo GAA Connacht Gold Senior Football championship. We have plenty of experts on hand to analyse these games such as ex Mayo players Alan Dillon & Stephen Carolan along with current Mayo ladies player Niamh Kelly. We will also have a club analyst from all 8 clubs involved over the weekend.On Saturday it's Westport v Breaffy at 6pm followed by Ballintubber v Moy Davitts. The link to purchase these games will be available from ..
Mayo GAA TV are pleased to announced they will be once covering Mayo GAA clubs championship games in the coming months.The first broadcast will be on Sunday 15th September live from Elverys MacHale Park they will cover the Mayo GAA Breaffy House Resort Junior A championship semi final between Achill & Kilmeena. They will be showing this game for free to get you up & running for the 2018 season.They will be live the following weekend September 22/23rd with games from either the Connacht G.. The officers of Mayo GAA have today been informed by Stephen Rochford that he is stepping down as manager of the Mayo Senior Football team.Statement by Mike Connolly, Cathaoirleach, Coiste Chontae Mhaigh EoWe sincerely thank Stephen Rochford for all the hard work and commitment he has given to Mayo GAA since he was appointed in 2015. Stephen has given an enormous amount of service to Mayo and has given us as supporters many great days on the pitch.Since he become senior team manager he has been ..